Been thinking about doing a piece like this for a while to explain why I am so FIRED UP/passionate about ACTION Wrestling and what I hope is its continued success. 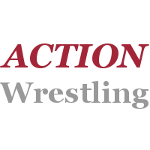 Before I get into all of the things that makes ACTION an exciting promotion, I need to talk a little bit about the area that it runs. Tyrone is a special place to me. It's a small town in Fayette County where I grew up. I lived in a neighboring city, but my grandparents moved to Tyrone in 1985. Up until a few years ago we had all our big family events over there. Although we grew up in Fayetteville, Norko and I went to Sandy Creek HS in Tyrone as well. I live 30 minutes away in Senoia now (Coweta County) but, we go to church in Tyrone less than a half mile from the home of ACTION the Roger Spencer Community Center. There's a ton of independent wrestling in Georgia, but where Norko and I grew up there was a hole there. You have wrestling west of us, in ATL (thanks AWE! 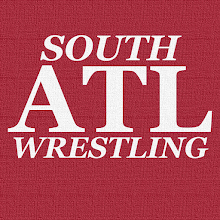 ), up in Cornelia, etc., but the Fayette/Coweta area never really had much in the way of quality wrestling. I vaguely recall there being a show in Fayette County years ago that I didn't even end up attending. We'd also get one-offs with the Founders' Day Festival, but nothing that ran the area consistently. So you should be able to see why a new promotion running in our backyard would be exciting for us. This was only helped by the fact that Matt Griffin (ACTION's CEO FKA NWA WildSide's Jacey North) was behind it. He's a guy that we trusted would a) go about his business the right way, and b) figured could get quality talent to work there. I'm not sure what the crowd made of Matt Sells, and Big Bite Martinez, but they were certainly amused. Everything worked, and that crowd which was full of casuals was TORQUED UP throughout the night. That debut show was a home run, and has set the tone for this promotion. The even better part is that ACTION is running benefit shows so you know your ticket dollars are going to a good cause. So far ACTION has raised money for Make-A-Wish Georgia, Advo-Kids CASA, and the current show is for Armed Forces Mission. It's nice to know that if nothing else your ticket dollars are going to support a good cause. The fantastic wrestling obviously is great too, and ACTION absolutely delivers on that front as well. I know this rambled a bit, but this is why I support ACTION and I hope you can too whether that's making an appearance or using their ticket donation option to allow a child to enjoy a fantastic night of professional wrestling. It being a family-friendly promotion is another great aspect as I don't hesitate to bring my children to the show. In the immortal words of Forrest Gump, "That's alll I have to say about that."